I just wanted to say hi and introduce my car. I've had it for almost four weeks, and it's a joy to drive. It's a pastel yellow -99 2.5 with less than 40k miles (62000 km). It's equipped with useless navigation (PCM 1), phone, CD changer, sport seats and probably more that I haven't discovered yet. I'm not entirely new to Porsche. I once had the questionable pleasure of owning a very crappy -78 924. 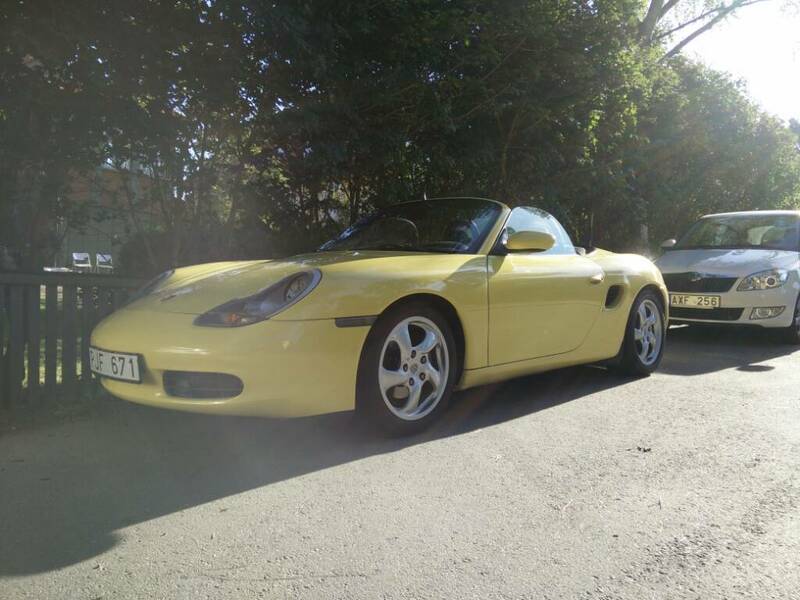 My parents also used to have a -03 Boxster S, that they swapped for a -06 997 C4. If there's anything on my wish list, it's a couple of smoke/red LED tail lights and a sport exhaust. 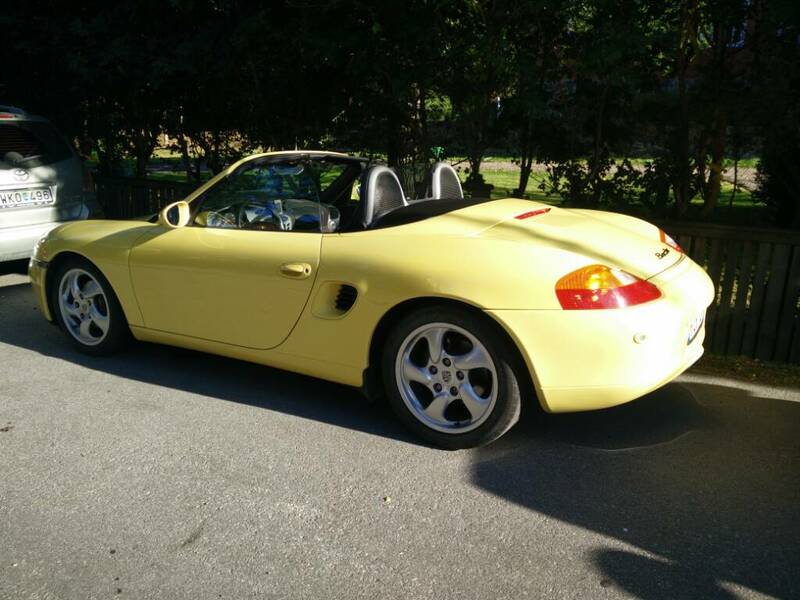 I've also ordered a pair of Porsche side decals, like the ones on the 987 Spyder. Nice ride! Welcome to the club! Johnny Danger would be proud. No bikini team members? I am underwhelmed. I'm so sorry. They were all just outside of the picture. I didn't want them to steal focus, since it was the car I intended to present. I'll make sure to include them next time. Some of them are obviously more interesting than others. Last edited by fridsten; 09-16-2015 at 01:28 AM. This weekend I managed to wash and visually update my car with side decals. The decals were completely straight, but looks a bit bent due to the the curved side of the car. I don't mind. I think they look great anyway.